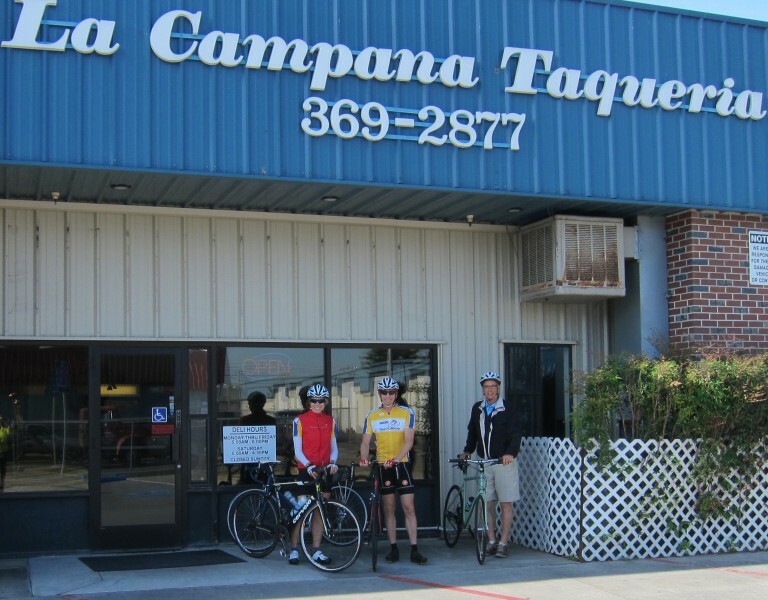 Our newest ride on ridewithgps is a short 10-mile loop starting at Lodi’s famous Mission-style arch, built in 1907, and ending at La Campana Taqueria for one of their hearty breakfast burritos. Leaving town, you will build up your appetite while passing vineyards, cherry and walnut orchards, as well as a few wineries along the way. Bike Lodi, a group of local cyclists, developed a set of bicycle maps specifically for bicyclists visiting from out of the area with routes from 5 – 50 miles. Many rides include winery and cafe stops. The maps can be accessed from the Visit Lodi! web page, downloaded into your Garmin, or accessed through the ridewithgps app on your phone. 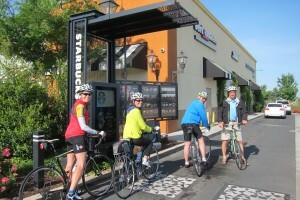 Before you stop for your breakfast burrito, you can make a short detour to Starbucks. 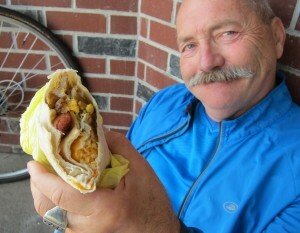 Breakfast burrito heaven, La Campana Taqueria, is located in an industrial section of Lodi, at 2346 Maggio Circle, and they open at 5 a.m. This is a no-frills establishment, you’ll be sitting on the pavement when you eat… but who cares! 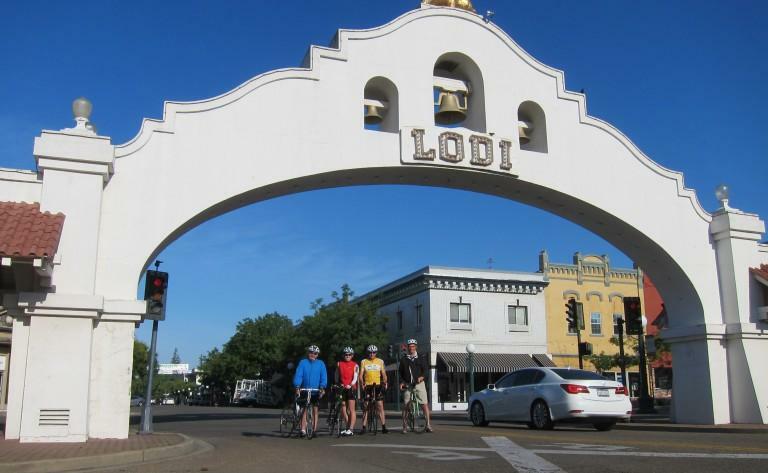 If you are in Lodi on any Thursday in June, be sure to ride your bicycle or walk. Lodi is asking everyone to forgo using a car and find another means of transportation. Farmers’ Market takes place every Thursday night in June, from 5 – 8:30 pm, on School Street, where you will find free bike valet parking. Happy cycling!